scan or photograph and email Mark Naylor at for@oldrendcombian.org.uk. or click on the thumbnail image to the right. (Opens in a new window). if you are a UK taxpayer. If you wish to make a donation, please sign and return to Mark Naylor at the above address. 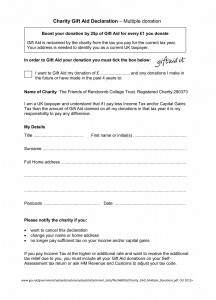 Gift Aid Form Only for Multiple Donations (2018 One Page A4) Link to Pdf Form or click on the thumbnail image to the right. (Opens in a new window). 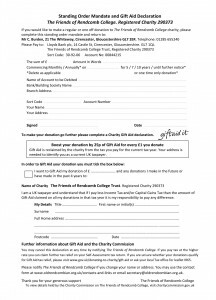 Even if you are not thinking of making a donation now, but may make a donation at any time in the future, it would be helpful to have this form completed. 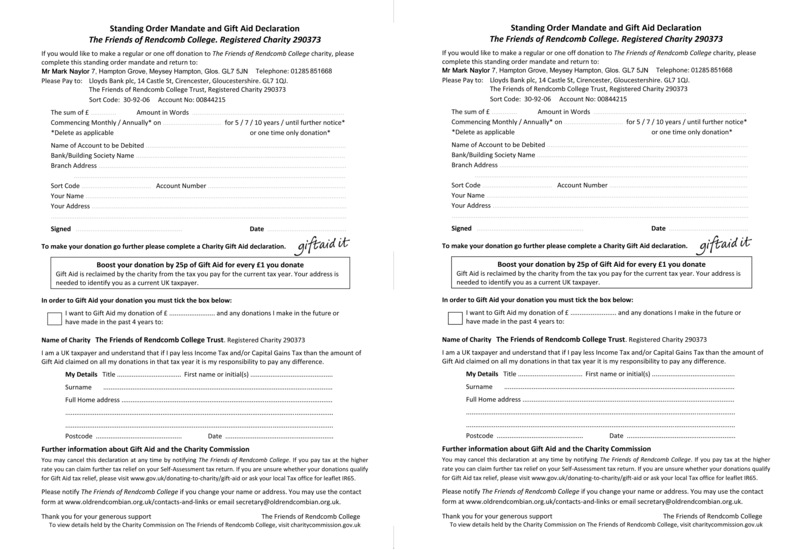 As it does not require a signature, you can scan or photograph your completed form and just email to for@oldrendcombian.org.uk. or click on the thumbnail image to the right. (Opens in a new window, then right click and save image file). The Jpg image is designed for duplication. The file is 3.3MB and in 600dpi resolution. 7 Hampton Grove, Meysey Hampton, Cirencester, Glos. GL7 5JN.